Kraft Lawrence has been walking the lonely path of the itinerant merchant for seven years. His life changes forever when he meets Holo, the Wolf-God of the harvest, and the two begin traveling together. 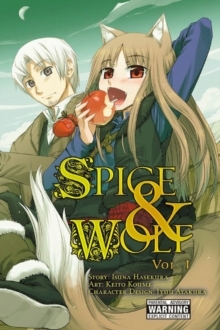 Soon they discover a unique business opportunity, but their plans go awry when a competing organization captures Holo and threatens to turn her over to the oppressive, monotheistic Church.Can Lawrence rescue his companion, and will the pair become more than just friends?